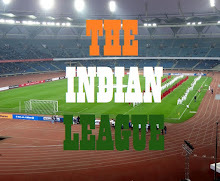 Reigning I-League Champions will travel to Chennai to play a friendly against 2015 ISL Champions. The announcement was made on Aizawl FC's Facebook Page. 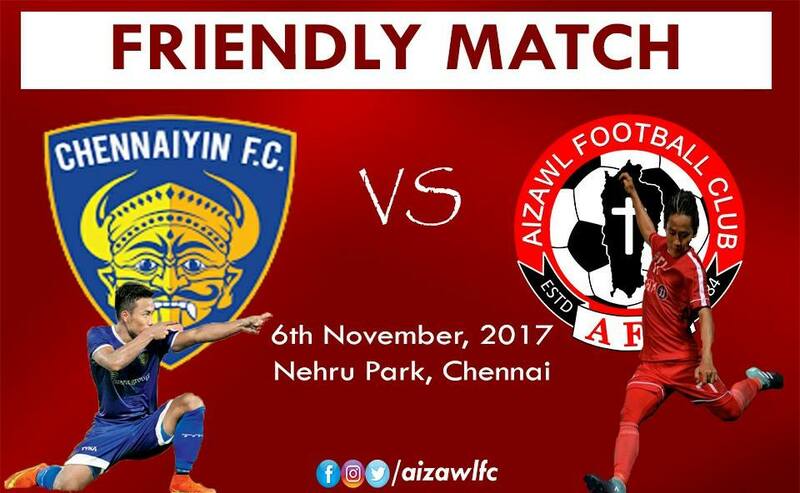 The match will be played at Chennai's Nehru Park on November 6th. Aizawl FC are currently playing in Mizoram Premier League and are 2nd in the points table with 19 points in 11 games. They had a slow start to the season as they conceded both MFA Super Cup and Independence Day Cup titles to Chhing Veng FC and had to wait till Round 5 of MPL to register their first win. Things have taken a turn since then as the young team has settled under new Coach, Paulo Meneses and have registered 3 back to back wins which included a 5-1 drubbing of last year's Runners Up, Bethlehem Vengthalang FC. Chennaiyin FC on the other hand are busy with their pre season in Thailand and have played two friendlies against Thai side, Air Force Central FC and Thai Port FC, losing both. They are slated to clash against Bangkok United FC on October 28. With I-League and ISL running in parallel this season, friendlies between clubs from both leagues have started to become a common place. NEROCA FC of Manipur hosted NorthEast United FC on 15th of this month while Federation Cup Champions, Bengaluru FC played 2 friendlies against East Bengal FC. Delhi Dynamos FC has also lined up number of friendly against I-League and 2nd Division sides namely Delhi United FC, Real Kashmir FC and Minerva Punjab FC.